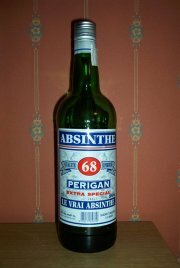 A label that reads 68 but the drink contains only 50% alcohol... Well, that sets the standard for this brand. Not one of the better Spanish absinthes. At my last visit to my sisters, her boyfriend treated me to this absinthe. I'm the one who introduced him to the green nectar in the first place, of course. 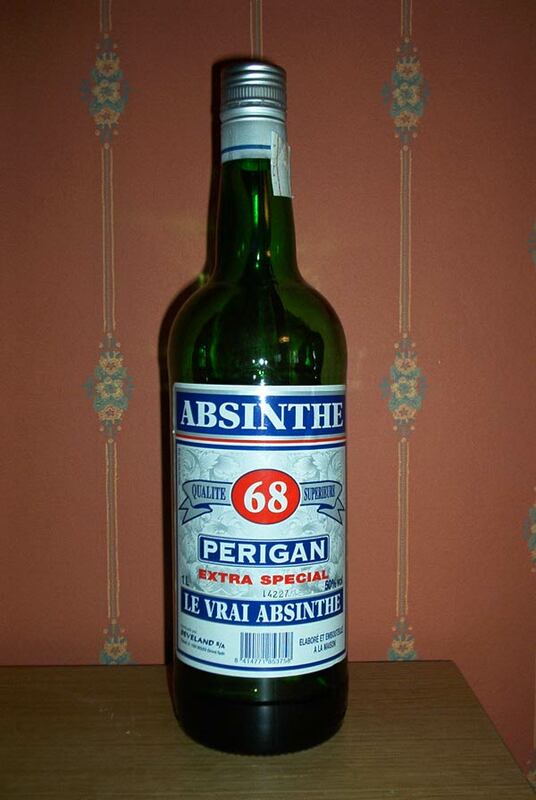 I didn't quite know what to expect, since the label reads Perigan 68, I presumed it would be at 68% alcohol, but that was all wrong. It's a mere 50%. That only shows the lame attempts of recreating something it is not. Either way, I started out tasting it neat, and that was not exactly a pleasant experience. I've had moonshine that tasted better. However with a lot of sugar and water added to it, the worst taste of alcohol smoothened. Not that it's any good, but the worst taste mellowed out, out into nothing. There's not much to say about the rest. A little taste of anise, but it's most just alcohol. I do not recommend this at all.